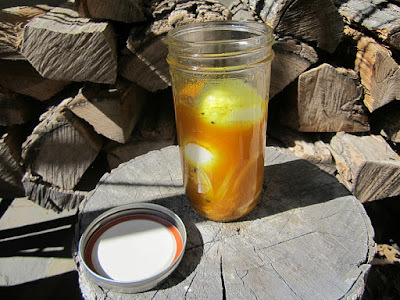 Spring must be around the corner if I am making pickled eggs. Even with over a foot of snow on the ground, colorful eggs remind us of Easter, new beginnings and springtime. 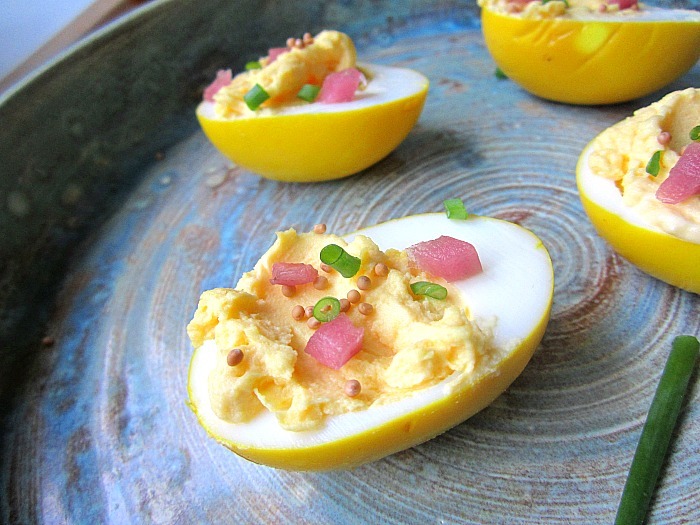 You can usually find me making pink eggs stained w/ beet juice, but this time I was intrigued by 101 Cookbooks yellow eggs made with turmeric. 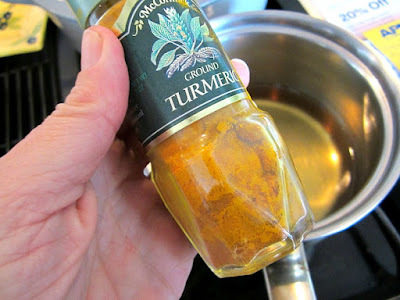 Turmeric it seems, is the new coconut oil. I read so much about how good the root is for you....I am not sure why I even had a jar of this dried yellow powder in my cupboard. It always had a bitter taste to me. 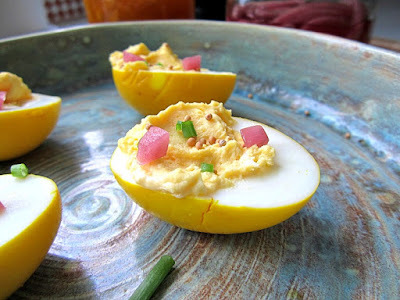 It was perfect for this delicious pickling concoction, and I loved how it stained the eggs yellow. It also stained my kitchen counter yellow, so I needed to use Comet scouring powder to get the stains out.....just a note of caution. Slice the onion and and add with the peppercorns to a tall jar. Boil the eggs 10 minutes, then run under warm water and peel. Place in the jar w/ the sliced onions and peppercorns. Boil the vinegar mixture until the spice and sugar dissolve. Immediately pour over the eggs and onions in the jar. 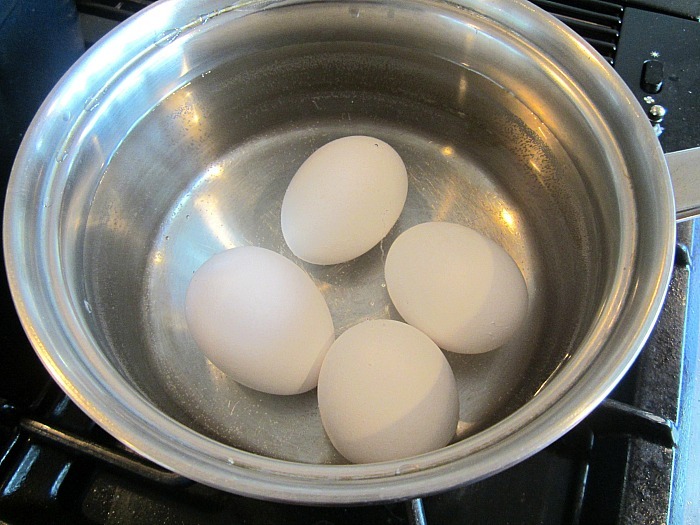 Make sure eggs are submerged then cover with lid and keep in fridge for up to 10 days. Use the pickled onions in sandwiches and tacos.....they are delicious too. OMG! I have been making this muffin for 35 years! Found it in a little welcome booklet when I moved to Canada. It is the best, most moist muffin I have had. I wish I knew the real origins. This has always been on my Christmas morning menu and many other occasions. Wish I could send a picture of my torn, stained little recipe. Loved how you used the blood oranges. You will enjoy these many times. Thanks for sharing! 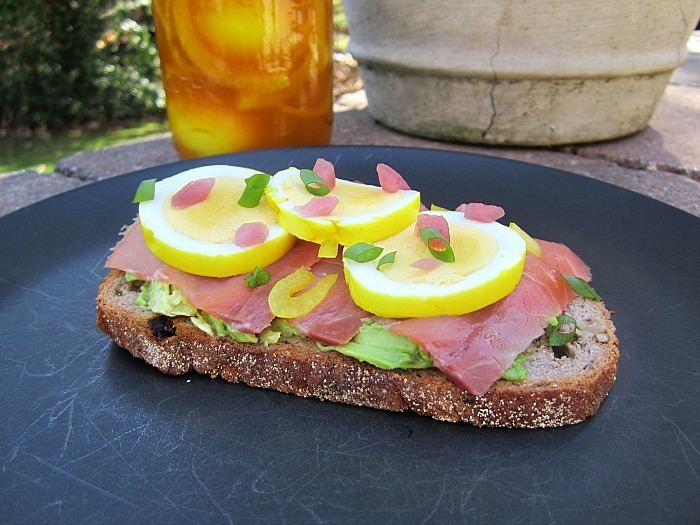 My pickled yolks seem to do better when I cook the eggs 1 to 2 minutes less than normal. Your egg photo is pretty!